Our Climate is changing and becoming more variable, with impacts ranging from inconvenient to fatal. The University of Melbourne has a responsibility to understand and manage the potential impacts of climate change on our students, staff, visitors and assets, as well as an opportunity to help the community through our action, teaching and research. 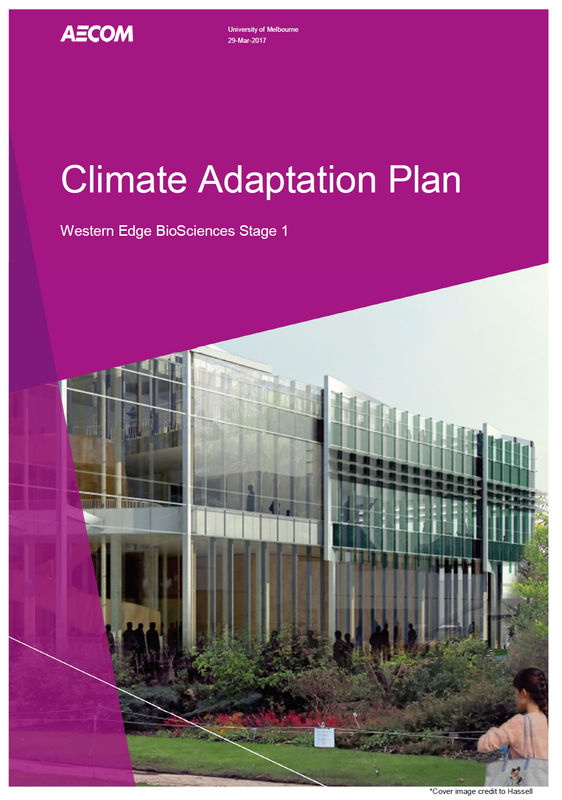 As part of our commitment to develop and implement Climate Adaptation Plans for each University Campus by 2020, we are currently developing a Climate Resilience Framework. This framework will draw together our work regarding climate change impacts in terms of teaching, research and University operations, allowing us to more effectively plan for climate change and support others in doing so. Understanding potential impacts for ourselves and our communities, and opportunities to improve resilience. The University is actively managing weather-related risks to our assets and the health & safety of our students, staff and visitors, and working to understand and respond to climate-related risks to long-term goals and investments. The University has an active and on-going risk management system that includes consideration of weather-related risks to health & safety and assets. Risk assessments and response plans are undertaken and implemented by University staff, supported by in-house expertise, our insurers and emergency services. The University makes investments that are expected to endure for decades, such as buildings and new campuses. When making such investments, it is prudent to consider how external factors – such as weather – might change over time, whether these changes could detrimentally impact the functionality or existence of the asset or the health and safety of occupants, and opportunities to be more resilient to any unacceptable impacts. Focused analysis has also been undertaken in relation to higher expected air temperatures in the future and the comfort and well being of students in University-managed accommodation. 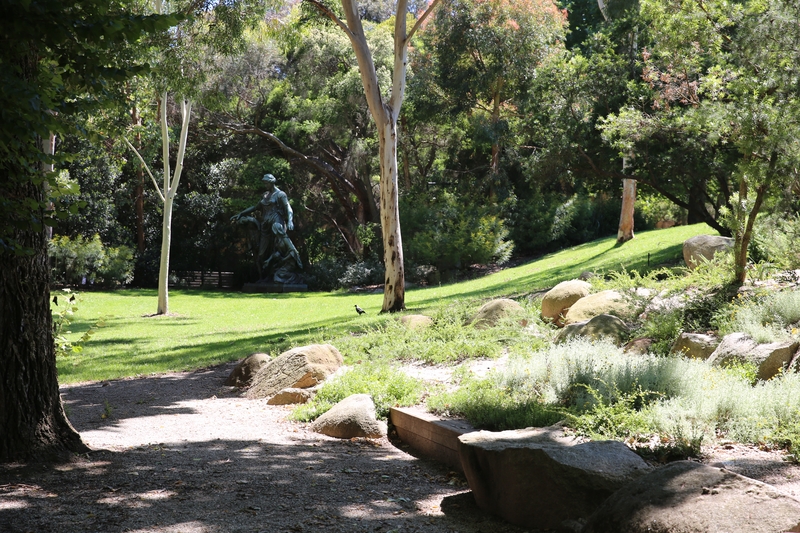 Trees are a significant feature of the University of Melbourne’s Parkville Campus. They contribute to the campus character, provide shade, enhance biodiversity and help cool our campus at night. More significantly, they can take decades to reach maturity. 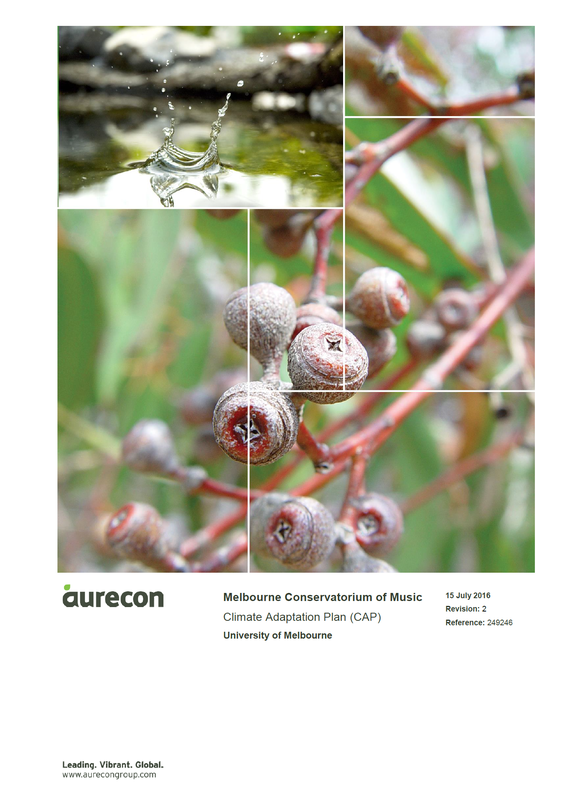 Therefore, the University of Melbourne is interested in making its Urban Forest more resilient to climate change, beginning with a Tree Temperature Vulnerability Assessment, which was undertaken in late 2017. The findings of the assessment will help inform future species selections, landscape design decisions on campus, and the upcoming Urban Forest Guidelines (an action out of the University’s Biodiversity Management Plan). Take a look at our map to see the findings. The University of Melbourne is better placed than many organisations to understand and respond to climate change because it is home to world-class expertise on those topics. As part of the Climate Change Resilience Framework, we are building a network of staff and students who can help us identify and manage risks by sharing best practice and the latest research (such as the tree vulnerability assessments). Collate and communicate the University's activities and examples of best practice in education, research and implementation of climate change resilience. For many years the University has been researching and teaching about the impacts of climate change, and approaches to improve our resilience. As part of our resilience framework, we have collated the following list of relevant subjects taught across the University and examples of relevant research. The following subjects offered at the University of Melbourne help advance knowledge of climate change resilience, risk, vulnerability and/or adaptation. Achieve better climate resilience by exploiting windows of opportunity created by existing and planned projects. The University has significant plans over the next 5 years for major redevelopment of its existing campuses and the development of a new campus in Fishermans Bend. This creates unprecedented opportunities to embed climate change considerations into campus planning and major construction projects. As noted under the first pillar, we are undertaking climate change risk assessments on many major projects and will continue to do so. We aim to create plans for all Green-star rated infrastructure projects. Through projects on its campuses, the University is able to increase the resilience of neighbouring communities. A prime example is the City of Melbourne and in particular the Elizabeth Street Catchment, which is prone to flooding during heavy rain. 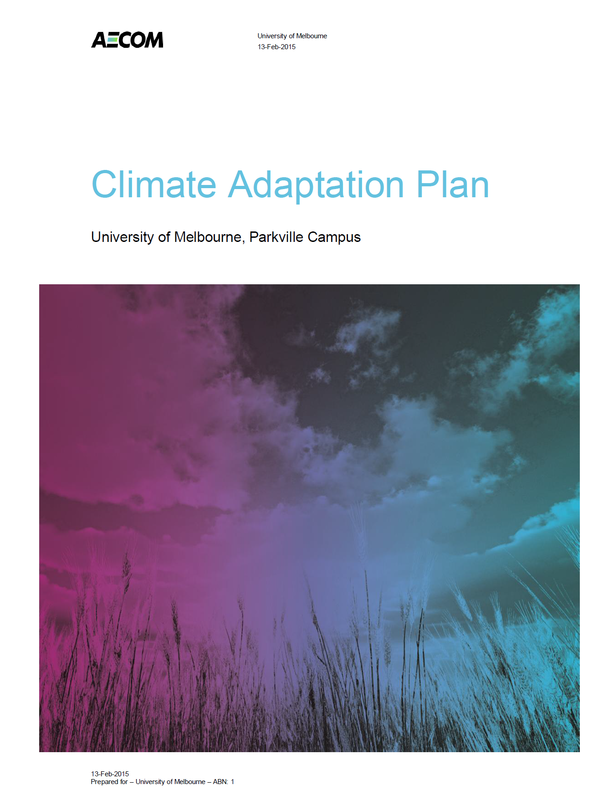 The City of Melbourne has noted the need for stronger partnerships in its 2017 Climate Change Adaptation Refresh and the University is actively working with Council to develop a collaborative action plan.